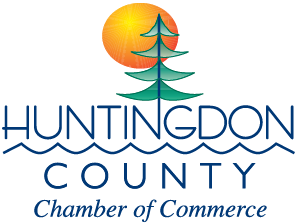 Leadership Huntingdon County is an initiative of the Huntingdon County Chamber of Commerce. It is part of a strategy to grow our community through leadership development, entrepreneurism and community action. We believe that the solutions to the issues facing our schools, our local government, our community organizations and our businesses can be found in the people of Huntingdon County. We encourage you to join us in this effort by being a volunteer, financial supporter and/or applicant. Leadership Huntingdon County is following the model of other community leadership programs, meeting monthly for nine months, adhering to a strict attendance policy, and requiring a financial commitment from participants. The program requires a commitment of one evening per month, two Saturday field trips and Saturday attendance at a leadership retreat. Each meeting will include a meal and two to three hours of training. Tuition for the program has been set at $500. Scholarships are available. Encourage citizens to become engaged community members by incorporating prior experience and developing knowledge to make a positive impact on Huntingdon County. We believe in the mission of Community Leadership – to strengthen and transform communities. We believe that directors must become leadership development professionals able to facilitate learning and to empower others. We believe all people in a community should be involved in making a community work – a true leader-full community. We believe everyone has the gifts and talents – part of the light – which will lead to answers and solutions the community needs. We believe leadership development must create servant leaders who have the capacities to get people to work together. We believe that leadership skills for the 21st century are life skills. All parts of life – home, work, play, service, require the same skills and capabilities. And, we believe that true servant leaders create leaders who create leaders who create leaders. The Leadership Program is a program of the Huntingdon County Chamber of Commerce. The Leadership Steering Committee is co-chaired by Mark Colussy and Adam Pfingstl. Other members of the Committee include: Lisa Baer, Anthony Bullett, Robin Binder Heath, Heidi Leonard, MacKenzie Locke, Robert McDowell, and Dr. Pat Shope.